Big Bang North West: Build an Engine with Clarke Energy! YES! 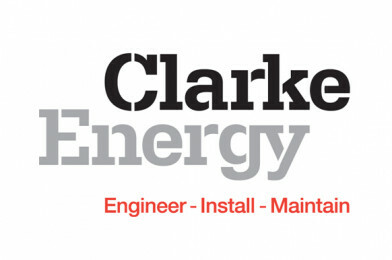 Clarke Energy will be exhibiting at The Big Bang North West! Clarke Energy is a multinational specialist in distributed power generation solutions. Their international headquarters are located in Knowsley, near Liverpool. Their capabilities range from the supply of a gas fuelled power generation engine, through to the turnkey installation of a multi-engine power plant. As a Clarke Energy Apprentice the opportunities are endless. Imagine getting to see their business from the inside, gaining the skills that lead to an engineering career, studying for a recognised qualification… and getting paid for doing it! By the end of the apprenticeship you will have attained a range of engineering skills that will enable you to be a successful, qualified Engineer. Their Advanced Apprenticeship is the perfect way to kick-start a rewarding career with Clarke Energy. This is a structured, four-year scheme that is nationally recognised and includes completing a NVQ Level 3 Extended Diploma. From the first day, you’ll be doing hands-on work and gaining invaluable experience on placements around the business and developing your knowledge further through tailored, industry specific training.